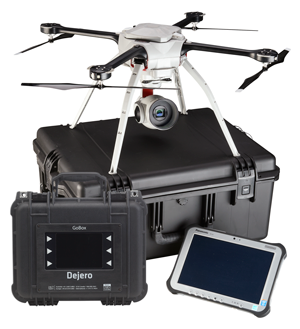 Dejero announced a strategic technology partnership with small Unmanned Aerial Systems (sUAS) manufacturer Aeryon Labs. The partnership will enable secure, real-time distribution of HD video captured by Aeryon sUAS through the Dejero LIVE+ platform. This will enable broadcasters to integrate live video captured with drone technology into their newsgathering, sports coverage, and video productions.